Why Toyota? Why does the Japanese company like to introduce such beautiful concepts (Corolla Furia) and then ruin them when they transform into their respective production versions? 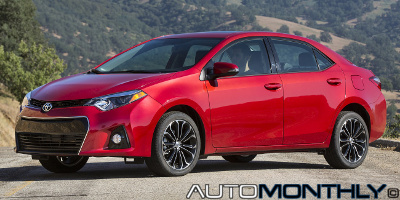 Luckily, this is the North American version, so i can only hope when it gets to the European market, Toyota will do a few changes to the car. Every war is bad, it takes the lives of hundreds, thousands or even millions of people and usually without a reason to justify it. With increased tension between the two Koreas it makes sense to ask ourselves about the consequences for the world economy and in particular for automotive manufacturers if they go into war. Many years ago a young Sergio Marchionne announced that Alfa Romeo was going to return to the United States of America. Time passed by and year after year the return of the Italian brand was postponed to the following year. The latest announcement came in January saying Alfa was (finally) arriving in the North American market later this year, and it seems that might actually happen. With all the enthusiasm from Geneva Motor Show gone attentions now turn to the New York International Auto Show. 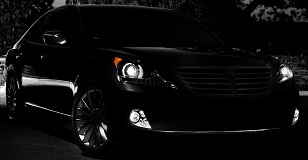 Hyundai is the first one teasing a new model giving us a darkened picture of the 2014 Equus that was already introduced in the South Korean market. 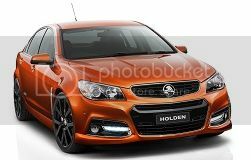 Externally the only difference from the Holden Commodore SS V VF is the different logo on the front and the back, besides the new paint and wheels, but what is worth mentioning is that it is the first Chevrolet V8 rear-drive performance sedan in 17 years. 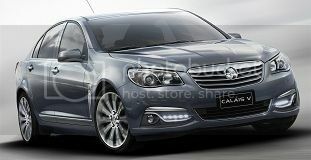 Recently the Australian company revealed the first car from the VF Commodore Series, the Calais V, and soon enough they showed us the more sporty VF SS V, that for now is only a show car but promises to "to seriously challenge any large performance sedan on the planet". The Mazda 3 hatchback is one of those cars many of us likes but it just didn't have that much success, still it is a car that we are curious about, and with these pictures taken in the U.S.A. we get to see the overall shape of the car even if it is covered in camouflage. Sergio Marchionne, chief executive of both Fiat SpA and Chrysler Group LLC, confirmed on Friday that the Italian brand will return to USA in late 2013 with the Alfa Romeo 4C. Volkswagen will introduce the Touareg and Tiguan R-Line at the Detroit Auto Show, starting next week, for the North American market. 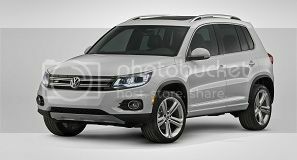 Both SUVs will join the recently presented Beetle and the older CC with their respective S-Line trims. 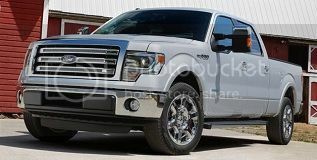 Short News: Best selling vehicles in the U.S.A.
2012 is already over so all car brands made ​​their final accounts to find out how many cars each one sold and we can now conclude that for the third year in a row the number of vehicles sold increased. So what was the best selling model? Find out below. Together with the North American version of the 500L, Fiat will also show the new 500L Trekking in the Los Angeles Motor Show that starts today. The most obvious change between the European and N.A. 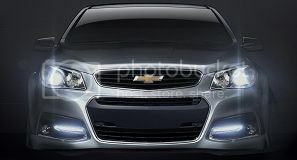 version are the new headlights.